Lo, and behold, travelers from the east and parts southeast and newer developments more to the south actually than the east, were on a quest — some having traveled weeks, others months, others years — all hoping to discover the Messiah promised to the Jews, but with anticipated collateral benefits for various and sundry gentiles, Pagans, and an occasional Druid. Dozens of seers, prophets, magi, prognosticators, and visionaries milled together with camels, mules, donkeys, and one totally confused llama. A few straggled behind. “Where are we bound this time?” one asked. “We have heard a rumor that the Messiah may come from Nazareth,” answered a second. “Like the last time?” sneered the third. “How were we to know the father was a pig merchant?” reflected the second. “I heard about this great inn in O Little Town of Bethlehem, not too far from here. I pidgeoned ahead and reserved the very last room. Hey, I have an idea. There are three beds. You guys could cometh witheth me-eth,” invited the third. “Excuse me. My bridge keeps slipping. You could come with me. It would be fun,” chided the third. “I don’t know. I would hate to pass on Nazareth then find out it was the Prince of Peace, Lord of Lords, etc,” worried the first. “Look, I can almost guarantee you that the Messiah won’t come from some little backwater bog like Nazareth,” said the third. “You know,” began the second, “I am a bit weary from all this trekking and questing. A night out and a comfortable bed doesn’t sound half bad. We could get all dressed up and treat ourselves like kings!” enthused the second. “When you put it that way, it sounds great. I like the sound of we three kings from the orient are looking for a good time. I’m in,” pledged the first. “Oh, you can’t miss it. They have this great big star sign right over the stable. Come on, nobody will miss us, and we’ll hook back up with them in a couple weeks.” explained the third. The trio departed, unaware that they were carving a special place in history for themselves. Dressed in their finest robes, the three conversed as they approached Bethlehem. “So, when we find the baby, what are you planning to give him…?” asked wise man the first. “Well, it was a toss-up between frankincense and costly nard, so I went with the frankincense — since the nard was so costly,” shared the second. “Take a gander at this,” boasted the third. He whipped out a small chest, and flashed a small treasure in gold. “No way! You know there’s a ten denarii spending limit! Ah, man, that makes my myrrh look pathetic!” roared the first. “Myrrh? Really? You’re giving a baby death balm? You’re unbelievable,” responded the third. 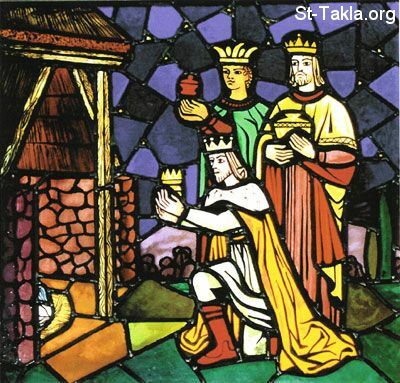 On this twelfth day following Christmas, we celebrate the Epiphany event — one that is much more grounded in myth and fantasy more than a Biblical basis. We don’t know exactly where the travellers are from. We have no idea how many there were. They are from the fringe caste of magi (seers and forecasters — magicians), not kings. The gifts have been interpreted as symbolic since the early first few centuries — gold, frankincense and myrrh foreshadowing the power, majesty, and conquest of death in Jesus’s future. It was not until college that I realized that Epiphany as a Christian celebration was a “late” addition to our tradition, and that Hebrew culture understood epiphany to mean the revelation of any deity to humankind. The Hebrew scriptures are filled with incidents of epiphany. It also came to be associated with the number three in the primitive and premodern superstitious early Christian culture. The story in our Christian tradition is a capstone to the Christmas narrative, the significance of which is all but lost today. The angels appeared to Mary, Joseph, Zechariah, and the shepherds to clue them into the miracles as they were about to unfold. Jesus, as the Christ, came as a complete surprise to them. Following his birth a wonderful shift occurs. In Matthew, the magi appear on the scene; in Luke this visit takes the form of Simeon and Anna, but in both cases confirmation of Jesus’ Messianic nature comes from those who were looking for him! Jesus wasn’t a happy surprise to the magi or Simeon and Anna — he came as fulfillment to what they lived their lives in anticipation of. The magi KNEW the Messiah was coming and they identified Jesus as the Christ-child they were seeking and searching for. In the tradition and the narrative this is huge. This makes it all real. This gives it weight and truth and credibility. We often don’t see it this way, or don’t give it the weight it deserves, but the two gospel writers who found such importance in the birth narratives both used a validation story to confirm that Jesus is the one true Son of God. In both cases, Jesus is not just the King of the Jews, but he is the Redeemer and Savior of humankind — Lord of the whole wide world. In an age of competing Messianic candidates, confirmation and validation were crucial. Those with the “special powers” of discernment and perception — magi and prophetesses — knew immediately who Jesus really was. And so by our faith and by the convictions of our hearts, we too know who Jesus is. Now comes the hard part. The infant Messiah has been born into our lives once again. We have to make some effort to look for and find this newborn King — then we have to make room for him on the thrones of our hearts. We must nurture the babe and allow him to grow into the Lord and Master of our lives. We give over our will to his Will, changing our ways to The Way. We take less and less, give more and more, and we risk being changed from the inside out. We love the romance and the pageantry of the visit of the wise men, but we too often downplay the sacrifice of the wise men. The physical gifts they give represent, most likely, their lifetime accumulation of wealth. The implication of their obeisance to the babe is an ending to a lifelong quest — their reason for being is fulfilled. They end as the Messiah begins — and so it is for us. We give our lives to Christ, but do we really? Are we wise as the wise men are wise, or are we kidding ourselves? Time will tell, but epiphany calls us to open ourselves to the incarnation all over again. Thanks be to God. Thanks for the reminder of The Gospel According to Bob. As soon as I save up enough shekels I expect to order one from Zambezi. I’m not so sure about your claim that the Magi’s reason for being ended with a giving of gifts. It is recorded that they went home by another way (or changed). Matthew might be seen as crediting them with being the first missionaries, tilling ground that would later be ready for seeds of Jesus-faith in the same way that Luke uses shepherds and Anna, Mark does with John, or John with creation. Who knows what new journey begins when they arrive back home and continue being open to stars and dreams. I prefer to imagine them passing on their ability to look expectantly to next generations and to join them on their next journey to a place of hope in today’s world.